Brand awareness and strength is a critical assessment element in the marketing industry, and stars have long since joined in the pool of companies and products which consumers connect with. The Korean advertising association released a data set this week naming the most valuable individual entertainment brands across the spectrum of industries and the results are mostly as expected. 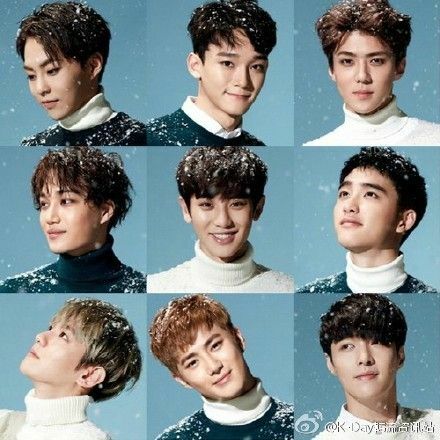 The most valuable Korean entertainment brands are as follows: Yoo Jae Suk (variety MC), Psy (singer), Kim Yuna (sports), Hwang Jung Min (film), Jo Seung Woo (theater), EXO (idol), Kim Soo Hyun (drama). I feel like the competition was likely the most intense among the film group since there are a handful of super A-list movie stars that are Hwang Jung Min level and just as beloved, but for 2015 it was certainly Hwang Jung Min with four straight mega hits in Ode to My Father, Veteran, Himalayas, and A Violent Prosecutor. Kim Soo Hyun’s string of super ratings drama hits slowed down last year with Producer but it was enough to keep him on top. Wow … Yoo Jae Suk with that 83.6%! Well, The Producers still ended with a huge high and was extremely popular in SK so I’m not surprised about KSH. He always stars in those ridiculously big hits even if they aren’t particularly the greatest in quality. Can’t believe he is yet to flop in any of his lead roles, like WTF. Anyway, it’s his star power so good on him! Really happy for HJM, he’s my favourite Chungmuro actor and he’s fantastic at picking his movies. Hope this year is as great for him. Don’t understand how one oppa’ fans can accused you of being a hater. Your comments are always fair. I totally agree about Jo Seung Woo for theatre! He is so charismatic on stage. Cheers! Don’t know most of these K commercial-favored celebrities. But Running Man is a really successful variety show in S. Korea and it’s also fun for me as a foreigner to watch. 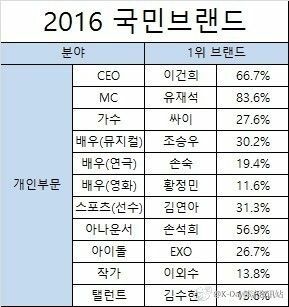 So it’s not surprising RM MC, Yoo Jae Suk, is popular. wow exo, wow psy. no suzy???? ?suzy of miss A. She bores. They sacrificed MissA for her. 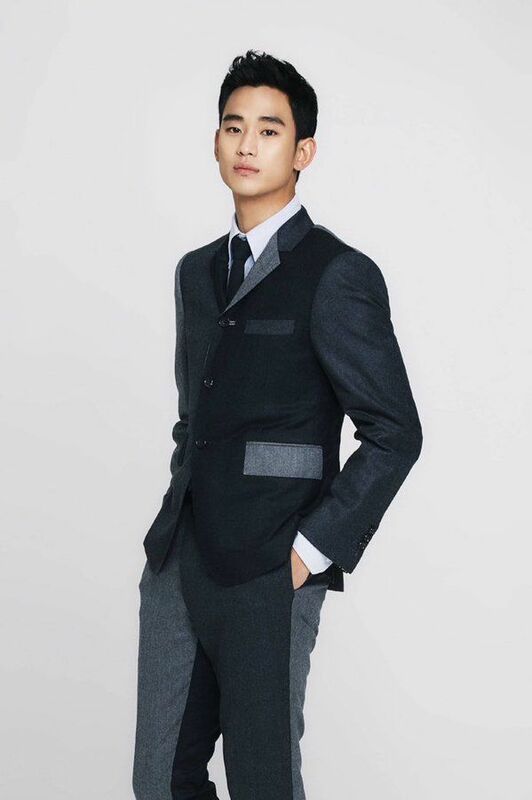 Kim Soo Hyun looks sooo handsome in that gray suit. He’s too skinny nowadays. Congrats to all the winners, all well deserved. Why is Kim Soo Hyun under talent and not actor?